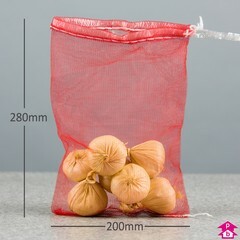 Think of your typical onion bag or wood bag. 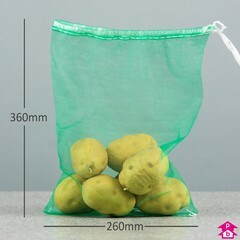 Used by supermarkets, greengrocers, farmers, gardeners, foresters and fishermen alike. 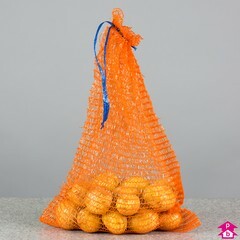 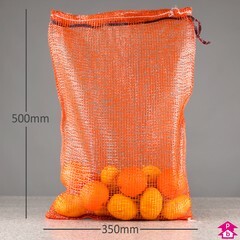 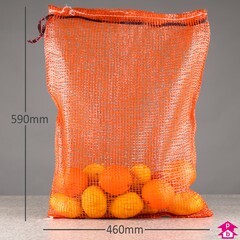 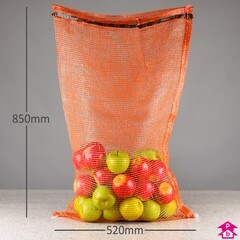 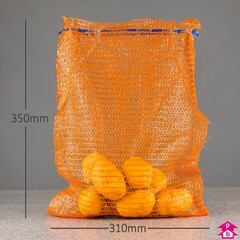 Net bags are made from knitted plastic and have a drawstring closure; with good strength, excellent product visibility and a breathable fabric these bags are ideal for displaying or storing produce.